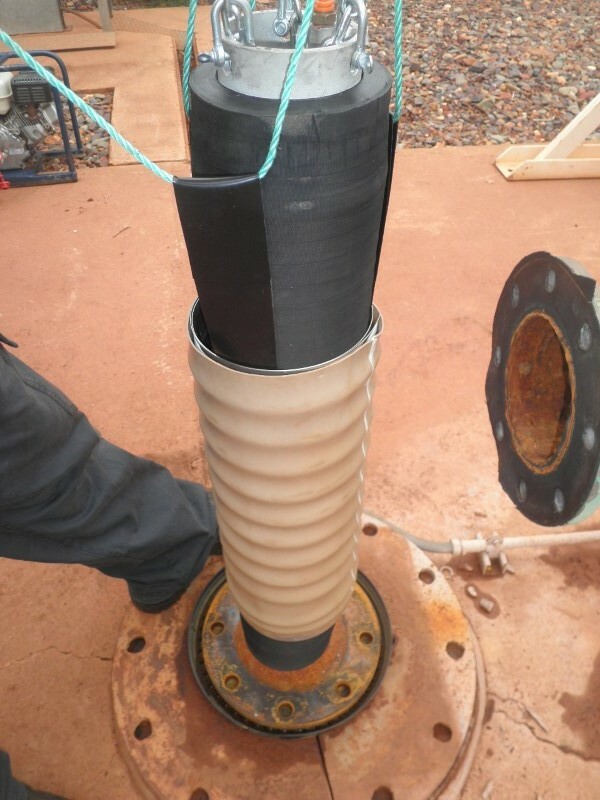 On occasions the corrosion of bore casings/screens, damage caused by pumps, and water jetted through holes in the pump column, can cause holes to develop in a casing or screen, allowing sand and gravel pack to enter the bore. We are able to lower a specially manufactured length of inner sleeve into the bore at the required depth, which is then expanded to tightly bond with the existing lining, thus sealing off any hole. The use of our high quality downhole bore cameras is a vital element used in ensuring the patches are properly targeted to the correct point in the bore.